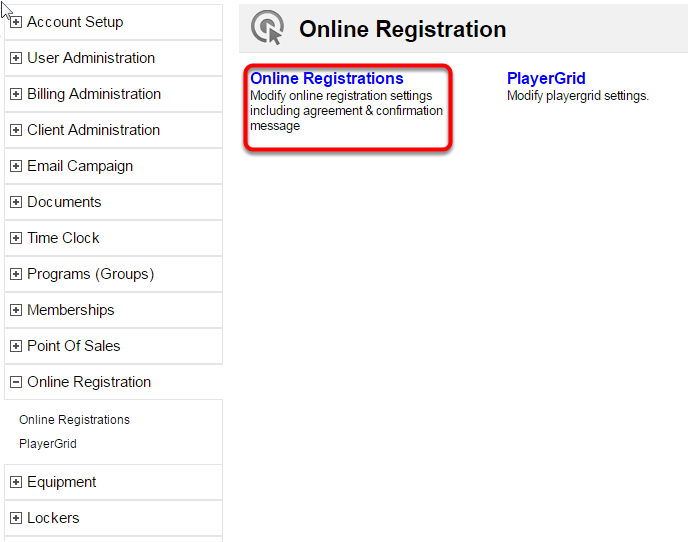 - If enabled your clients can enter a coupon code during the online registration. 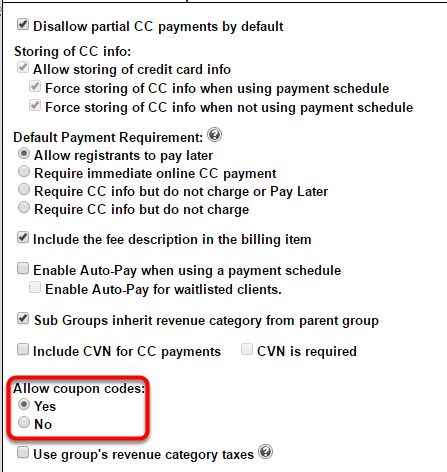 - The next step is to simply click yes next to the "Allow coupon codes" option. Do you need the POS module in order to set up Coupon Codes? With our 7/19/16 release-- Coupons are no longer found in the POS section, but instead within the Billing Administration section of the Admin tab.